Are you interested in hang gliding and/or paragliding, but don't know where to go? Below are a few links that might offer some help to get you started. Hang gliding/paragliding are the most liberating of sports. There is nothing quite like flying like a bird. You might want to start with the Windsports web site to get a feel for what it is like to fly a hang glider for the first time. Then take a look at the Common Questions section of the United States Hang Gliding & Paragliding Association (USHPA) site. If you are still interested in learning to fly, do some more looking around. Check out the links below, or go to the Where to Learn page of the USHPA Web site and find an instructor near you! Or, come down to the Sylmar Flight Park to see what it's like first-hand. Most flying happens daily from around 11 am until an hour before dusk. 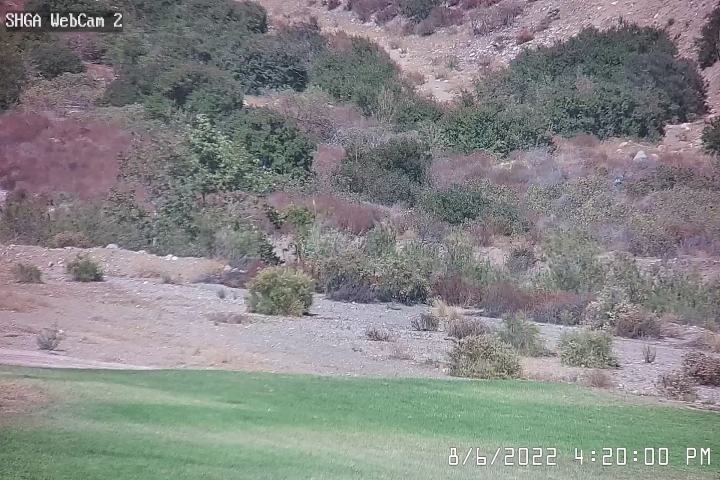 No flying in rain or in northerly (Santa Ana) winds. 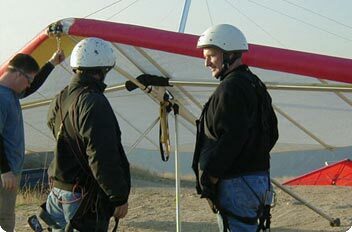 All About Hang Gliding This gives lots of information for people interested in hang gliding. Good FAQ page. Some pictures. Links to instructor/school Web sites. United States Hang Gliding & Paragliding Association U.S. national organization for hang glider and paraglider pilots. Issues ratings, maintains site insurance etc. A good place for finding instructors around the country. Windsports Local southern California hang gliding school. Teaches at Dockweiler Beach and at the Sylmar Flight Park. Joe Greblo, proprietor. Hungary Joe's Flying Circus Hang gliding instructor. Teaches at Sylmar Flight Park, and does Aero-towing at El Mirage Dry Lake. Joe Szalai, proprietor. PGgolian paragliding school Paragliding instructor. Teaches at Sylmar Flight Park, Malibu, Palos Verdes, Torrey Pines, and other sites. Hadi Golian, proprietor. High Adventure Hang gliding and paragliding school. Based in San Bernardino, at the Andy Jackson Air Park. Rob McKenzie, proprietor. Fly Away Hang Gliding Hang Gliding school. Based in Santa Barbara. Tammy Burcar and James Gardner, proprietors. Fly Above All Paragliding school. Based in Santa Barbara. Nationwide list Nationwide list of schools and flying sites from wonderwinds.com.